Yolanda is a self-published author who wants to build a fiction proofreading and copyediting business. In this Q&A I consider the steps she should take to get her editorial business off the ground and fit for purpose. I am a fiction author located in U.S. and I've been self-publishing for almost 6 years under various pen names. I still work full-time (over 20 years in the administrative field), however I would like to start a freelance career as a fiction proofreader/copy-editor. I am a certified legal proofreader but outside of my day job & my own books I don't have experience proofing. I intend to use freelance job sites & my connections with self-published authors to build my portfolio. As far as blogging, I'm not sure what I would discuss since my focus is fiction & I'm not an expert yet to give other proofreaders advice. What would be my next steps to transition from fiction author to fiction proofreader/ copy-editor for self-published authors as far as getting my business up & running, classes (if any), pricing, etc? I think you’re wise to consider training. It’s essential that your knowledge of grammar, spelling and punctuation conventions is top-notch. If it’s not, you won’t be able to correct your clients’ files to industry standards. Fiction work does require an empathetic hand because editors and proofreaders are often faced with the dilemma of how to amend such that we remove errors and improve readability but respect narrative voice and flow. However, it’s only when you know what a problem is that you can decide whether to fix it! Training is absolutely the right place to discover your weak points. Better that than via a disgruntled client. Your second step should be to undertake professional editorial skills training. This will be of particular use to you because it'll move you into the editing mindset and away from the authorial one that you're used to. I appreciate that you've self-edited, but editing one's own work is a very different proposition to offering professional services to paying customers, as you clearly realize. Professional training will also enable you to determine the level of intervention that each type of editing requires. In turn, that will help you avoid scope-creep and undercharging. Especially when proofreading, knowing when to leave well enough alone is an art in itself! You’ll need to develop a service model that differentiates between the different levels of editing. Many self-publishing authors don’t know the differences between proofreading, copyediting, line editing, and developmental editing. Many editors' definitions vary too. And so while the lines are often blurred, especially when we compare different independent editors’ service descriptions, professional training will help you clarify how you'll describe your services so that your clients understand exactly what’s on offer. I’d advise taking a look at a range of editors’ websites to familiarize yourself with the breadth of services on offer and the way your future colleagues describe these. There’s no right or wrong. Rather, it’s all about clear communication and helping the client understand how you can solve their problems. Blogging needn't necessarily be your primary content platform, though I think it works well for editors and proofreaders because our wordy clients are comfortable with wordy information! Even if you don't concentrate on vlogging or podcasting, at least think about how you can introduce audio-visual material into your marketing mix in order to stand out and offer your audience alternative ways to get what you're offering. You don’t need to focus on colleagues either. Far from it. Fifty per cent of my content is created for beginner authors. I’d recommend you consider using your experience as a self-published author of fiction to guide potential clients on how to navigate their own publishing journeys. Think about what their problems and questions might be. Think about what your own problems and questions were! For example, you mentioned having used a pen name; that would be an interesting topic to any beginner author wondering whether they should publish under their own name. Great content marketing solves problems. If you decide to blog, offer fantastic value by helping other writers solve their conundruns using all your knowledge and experience ... the rough and the smooth. Everything you’ve learned on your own journey has the potential to help others. Don’t forget that your experience of self-publishing can be used as a unique selling point that makes you stand out. Combine that with high-quality training and you’ll be on the way to building a compelling online presence. Consider how you might make your content visible beyond the blog (or vlog or podcast) by creating a resource hub that makes what you’ve created accessible via different pages on your website. It’s my belief that having an individual, standout online fingerprint is essential for those entering the editorial freelancing market. There’s too much competition out there to create a website that looks just like everyone else’s. So do focus on your marketing so that over time you can be as discoverable as possible. In relation to your needs, it matters little if the Editorial Freelancers Association thinks that $30–50 per hour is a common and acceptable rate for copyediting if you need $70 per hour to keep the bailiffs from the door. With that in mind, when you start to think about pricing, work out first what you need to earn as a minimum to make your business viable. That’s your baseline. From there you can work upwards to what you want to earn and what your clients will bear. 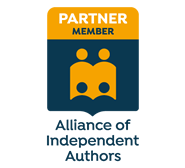 Self-publishing authors aren’t a homogeneous market when it comes to writing skill, genre or budget. Some will be shopping for an editor whose fees are lower than that which you need to earn. Others will be prepared to pay more than you want to earn. Yet others will sit somewhere in the middle. It’s not only the budget that will vary; your authors' locations will too. And so if your potential client is based in Sweden, it’s likely that what $40 will buy in Sweden is not the same as what it will buy in the US. Since the cost of living varies from country to country, what an American client thinks is a high rate might seem an absolute steal to the Swede. And that’s another problem with professional association pricing tables – they focus on the domestic market whereas your potential market lies well beyond the sovereign state in which you reside. That’s why it makes more sense to build your pricing model on your own needs rather than some notion that there’s one universally applicable rate (or range) for editing or proofreading. There isn’t. I hope all that gives you a few ideas for how to move forward, Yolanda, and I wish you well on your editorial business-building journey! There’s plenty more information on my blog in the following archives: Money Matters, Marketing, Starting Out and Training. Dig into that and start connecting with other editorial pros online. There are lots of us on Facebook (the Editors’ Association of Earth is a good place to start), Twitter and LinkedIn ... and beyond!